Picture this, you’re taking your dog for a walk, it’s snowing, it’s icy, it’s extremely cold, you pull your scarf up over your face all the while wishing you wore that extra pair of socks, but mostly, you wish your dog would hurry up and find that perfect potty spot instead of insisting on sniffing a few more trees or checking out the local hydrant. After a few moments of indecisiveness and several circles, your dog has finally completed their business. Now what? You pull the gloves off what used to be warm hands, stuff them in to your coat pocket or tuck them up under your arm, all the while trying to hang on to your dog’s leash. But wait! You now have to dig in to your coat or pant pocket to get out a dog poop bag! Once you’ve stooped and scooped, you try to pull your gloves back on to your now freezing hands – that is, if you haven’t dropped them into the snow or slush! This is a sponsored post to bring attention to the Walkease Winter Glove for Dog owners. I only share information on products that I would use for myself, my pets or believe my readers would find of interest. What if there was a way to walk your dog then stoop and scoop without ever having to take your gloves off? Thanks to the Walkease Winter Dog Glove from Best Friend Apparel it’s now possible! With the extreme winter weather I’ve been experiencing, I couldn’t wait to put the Walkease dog walking gloves to the test. Could I easily fit my dog’s poop bags in to the pockets provided on the back of the gloves? Yes! The pockets placed discreetly on the back of the gloves are convenient, easily accessible and held my dog’s poop bags without issue. Would the synthetic finger tips on the Walkease gloves provide me with the ability to easily remove a poop bag, open it, then stoop, scoop and tie the bag back up? Did my hands stay warm? Yes! The Walkease glove provided me with warmth and comfort. The Walkease is a glove I would wear even when not out walking with my dog. Did the palm grip give me the extra traction I needed so my dog’s leash wouldn’t slip from my hand? Yes! The synthetic palm grip provided that extra grip needed to hold my dog’s leash securely. Overall, the Walkease dog walking glove combined style, comfort, quality and importantly, a functional design that made walking my dog in the cold winter weather less challenging and more comfortable. If you’re a dog parent or dog walker, the Walkease dog walking glove might be just the thing you’ve been looking for! What’s better than warm hands while walking your dog? In addition to providing you with a quality product, with each purchase of the Walkease, 5% will be donated to Save Our Scruff, a Toronto, Canada based not-for-profit organization dedicated to providing care and rehabilitation for stray, abandoned or displaced dogs. This is such a nifty invention, sides for poop bags in a glove! We don’t have inclement weather here in San francisco but I can totally see why you would need it in cold regions! You had me at “synthetic finger tips.” My fingers always get cold when I have to go outside and pick up “poopsicles.” I’ve been looking for gloves with tips like that for the longest time. I’m going to have to find me some of these. This is such a genius idea, I almost can’t believe no one thought of it before. Handling two large dogs, poop bags, and my gloves can be a real issue during the winter. Nice! I’ll have to look into these. Colorado can get freakin’ cold. These gloves sound ideal for anyone in a cold climate with dogs! I hate having to take off my gloves to open a bag. Oh these look AWESOME!! I love the grippies on each finger for opening the bags without having to take the gloves off. I’m adding these to my wish list! I’m thinkin’ these gloves might be good for every day! Not just for walkin’ doggies and stuff. Like for goin’ for the mail, or out to feed the birds, or takin’ out the compost, too. And how nice that part of the proceeds are bein’ donated to such a worthy cause. PURRS. Yes! I don’t think the Walkease gloves should be restricted to “walking the dog” only. They are comfortable, warm and are fashionable enough to wear at any time! These seem so well thought out and designed. 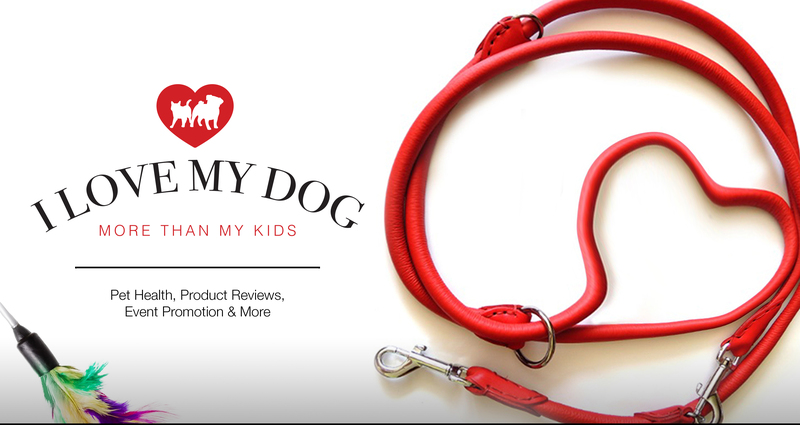 Perfect for active dog owners. I mean, just being able to finally open poop bags with gloves on is a game changer! I agree! The Walkease glove in my opinion is well designed and made, but I was totally won over when I could pull out a poop bag and open it without ever having to remove my gloves. Ha! What a great product, for a very “niche” market. Kudos to the creators, who are really thinking outside of the litter-ary box. *s* Luckily, I live in the south but even so, some days are just TOO darn cold. It always tickles me, too, when folks find ways to turn “shitake” into a money making stream. Oooo, these sound like great gloves! Even though we live in Southern California, our hands can still get chilly on a late night walk. My husband is usually on poop bag duty, and he would LOVE these! I will have to show him. Great review, thank you! These sound awesome! I used to be a dog walker and taking your gloves off for poop bags is miserable! My one question is, are they dexterous enough to get a treat out of a treat bag? Thanks for sharing this cool product. Great question! I am going to have to give it a try and see if I can easily remove a treat from my treat bag while wearing the Walkease gloves. I will let you know once I’ve put the gloves to the treat bag test. wow… with -40 weather over here I think maybe I need to look into these! I do a lot of indoor training when it gets this cold (I don’t think it is that safe for tiny lungs out there) but still … we do go out. I had never heard of these! The Walkease is a very new product, and one that I believe should do very well with dog parents and dog walkers who live in cold climates.